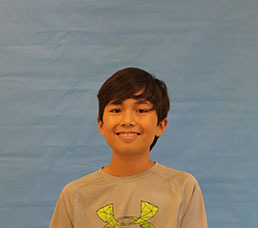 Ko Seltzer is a seventh grader with an affinity for playing sports and writing, especially in journalism and science fiction. He decided to join "Ursus" this year because he enjoys writing in newspapers because of the adventures that come while seeking info, which includes doing things like attending events, doing interviews, etc. As an adult, Ko would like to pursue a career in equity derivatives, but if everything goes perfectly, he would to play professional basketball.